Adoption Agency CA: Adopting A Baby? Be Prepared With A Few Of Our Adoption Center’s Tips! Adopting A Baby? Be Prepared With A Few Of Our Adoption Center’s Tips! All across the country, families of all types are looking toward domestic infant adoption as an ideal solution for having a child in a way that benefits all parties involved. If you and your significant other are planning on adopting a baby, it’s important to remember that you will be facing the challenges of raising a newborn in addition to the complexities of the adoption process. Families across the country have come to rely A is 4 Adoption for the best services when it comes to private adoption practices. Our facilitators work to provide the highest level of support and care over any adoption agency in California, striving to provide comprehensive birth mother help while navigating the complex process for adoptive parents. Today, we’ll begin to discuss a few introductory tips that may prove helpful once you’re home with baby. If you’re interested in learning more about our adoption services, be sure to contact our team today! One emerging philosophy on newborn care is that they are accustomed to the sounds of the womb. As adults, we revel in the peace and calm of night-time silence to doze off, but infants are still learning how to adjust from their prenatal accommodations. It’s helpful to remember that the womb is a loud place, and most newborns will struggle to fall asleep if they are left in silence. Many parents will find that normal conversations, loud television shows, and even vacuuming their home can all occur without disturbing baby. If you are concerned about your little one sleeping soundly, do some research on noise machines to see if audio additions to naptime can help. There are many devices available to help in this effort, ranging from specialty devices to white noise tracks on streaming media apps. Constant noise will likely lull your baby back to sleep, and allow you to catch up on your rest. One of the biggest problems new parents face is the process of feeding their little one. It is important to do your research and figure out the best configurations for feeding time, as any disruptions or distractions can lead to a wailing baby and frazzled parents. In many cases, new parents will find that their baby is falling asleep during the meal time, often slowing down their consumption or stopping entirely. You may feel this is a good sign, but bear in mind that your infant will wake up with vigor in the near future if they did not fill up. Simple steps can help to keep your baby engaged while feeding. If your newborn begins to doze off, try stroking their cheek with your fingertip. Other parents have found success with lightly brushing under the chin for a stimulation that starts the feeding train back up. Succeeding during meal time can provide serious benefits for the entire family, including longer periods of sleep. Be sure to find a system that works for you! Everyone has advice on how to parent, and in many cases, these anecdotes can conflict with one another. We advise to value the recommendations put forth by your family members and close friends, but at the end of the day, it’s important to remember that this is your family, and your baby will be unique in a variety of ways. Doctors, parents, nurses, and everyone else in society all have a way of caring for infants that worked best for them, but one size doesn’t fit all. New parents will go through a process of learning about their newborn over the first few weeks, and this endeavor will last throughout the entire childhood. Once you and baby find a system that works, stick to it to make everyone happier. Your mother may not fully approve of your methods, but as long as everyone in your home is happy and healthy, then all should be well! Interested in Adopting a Baby? The act of adopting a child can bring considerable joy to adults who are ready to grow their loving family. Pregnant moms not ready to provide the best life for their little one can also find relieve and pride in knowing that their brave decision helped to make a family happy while providing the best chances for their child to succeed. 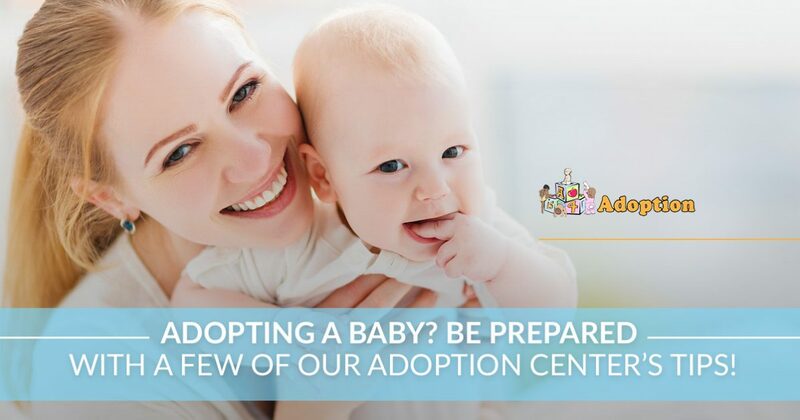 If you’re considering adopting a baby, A is 4 Adoption is here and happy to help! Our facilitators strive to deliver the best guidance and support every step of the way, providing services that go beyond what any adoption agency in California can provide. We specialize in private infant adoptions nationwide, and have babies currently in need of loving homes. We are proud to be a provider for LGBTQ services, and have the experience to provide support and guidance every step of the way. Contact us today to learn more!